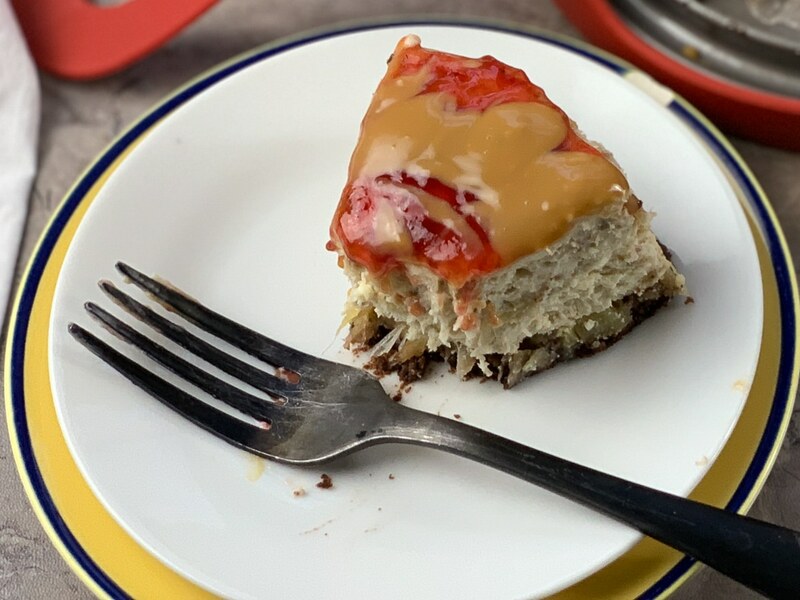 My Banana Split Cheesecake recipe is one cheesecake recipe you are going to want to print, pin and/or save for later. With Easter right around the corner, it would make a great dessert recipe to add to the menu! The cheesecake filling has mashed bananas and instead of graham cracker crumbs, the crust is a chocolate cake! 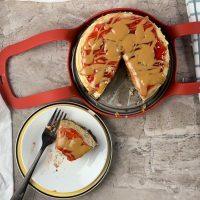 The Homemade Homemade Dulce de Leche serves as the caramel sauce and all of the flavors come together perfectly. 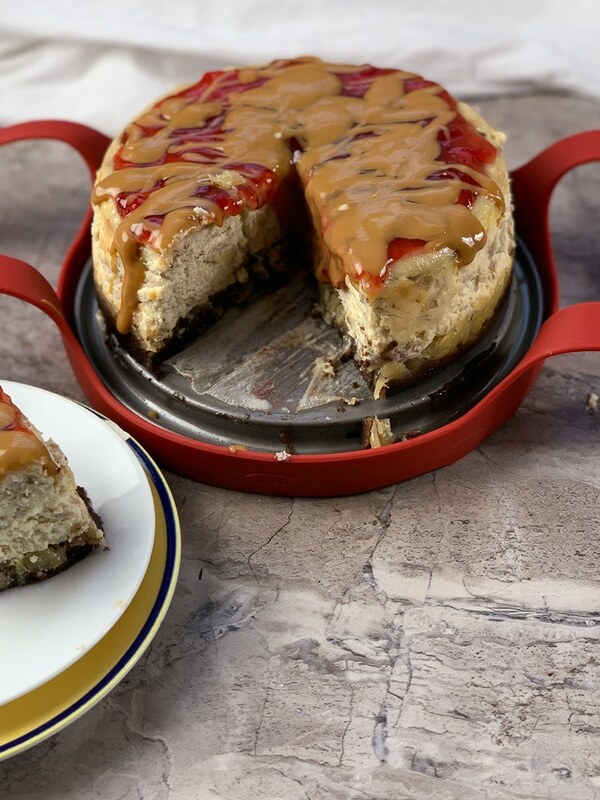 You have got to try this Banana Split Cheesecake with Homemade Dulce de Leche It is absolutely phenomenal. 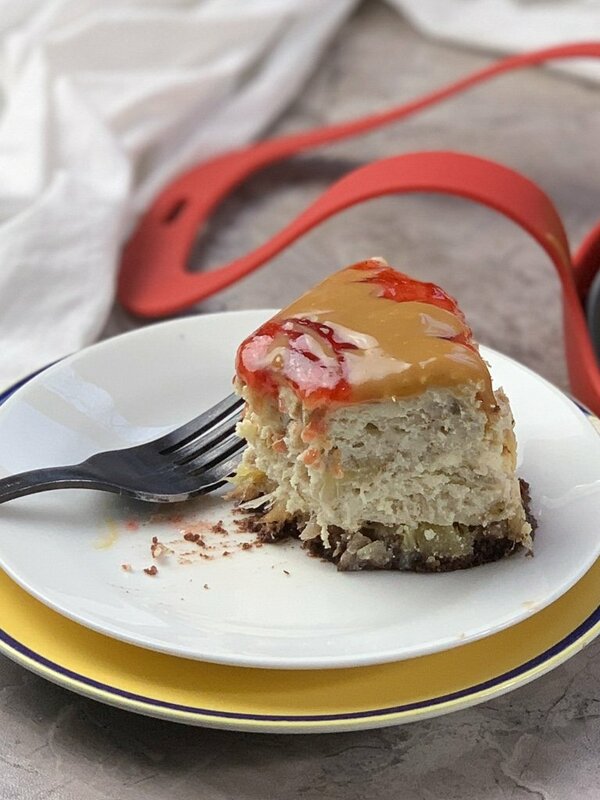 I have an obsession with traditional banana splits, but this Instant Pot Banana Split Cheesecake recipe is not your traditional anything. This recipe was inspired by my banana split cheesecake bars recipe. I added the homemade dulce de leche mixed with a little heavy cream and it was amazing. Instead of baking the cheesecake, we will be cooking it in the instant pot. 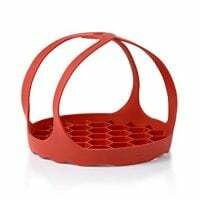 This eliminates the need to preheat the oven or even turning off the oven. Once you mash your bananas you can mix a little lemon juice with them to keep them from browning too much. 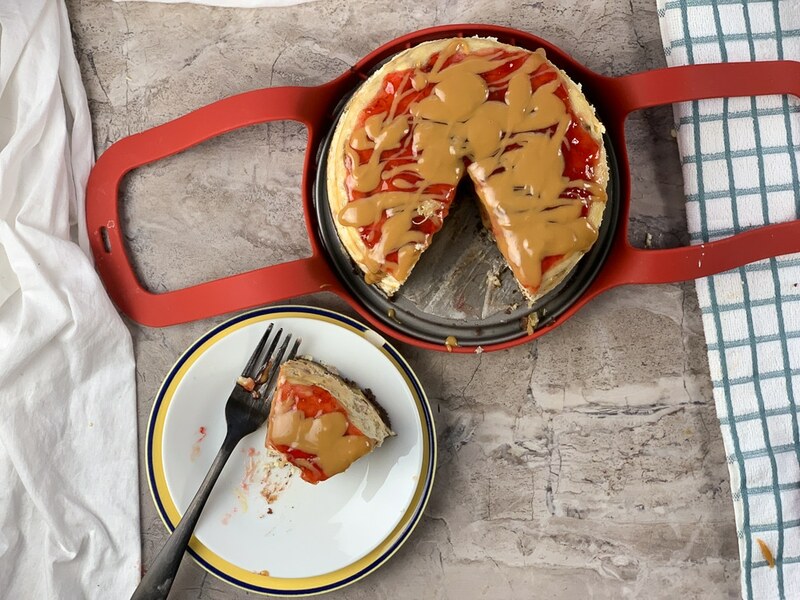 Adventures of a Nurse’s Dulce de Leche was the perfect addition for this Banana Split Cheesecake with Dulce de Leche in the Instant Pot. It can look super messy, but it turned out perfect. 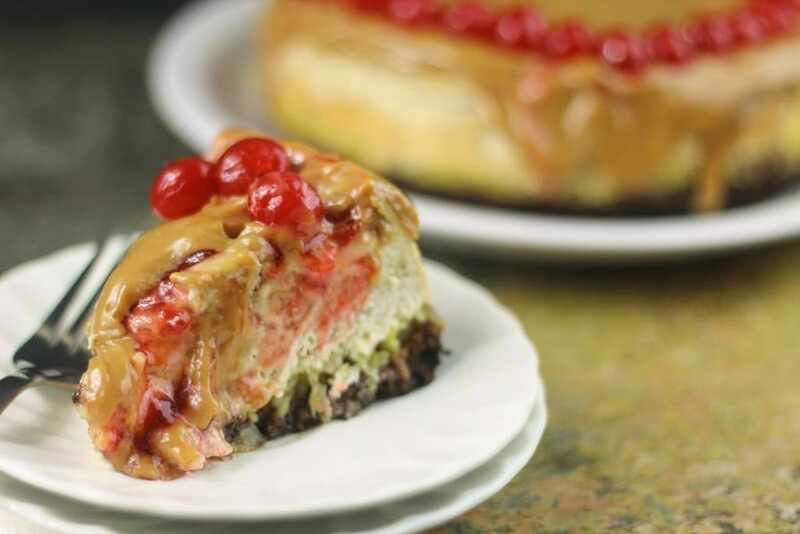 With each bite, you get the all the flavors of a banana split, only its in a cheesecake! 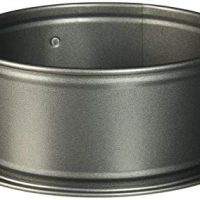 If you don’t have a cheesecake pan for your Instant Pot yet, here is a good one. There are many desserts you can make in your Instant Pot. If you are looking for more, check out 24 of the Best Instant Pot Desserts. 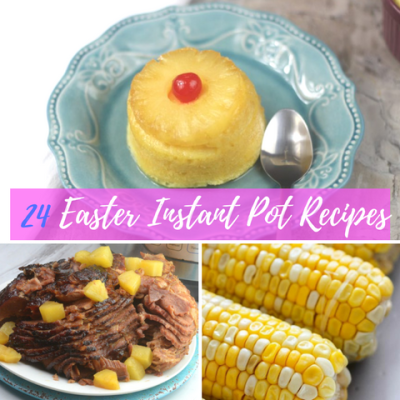 For more great instant pot desserts. In a bowl mix 2 eggs, cooking oil and box cake and mix, it will look like cookie dough. Split in half, and then half again. You will have about half this recipe left, you can freeze it for later or make some quick crinkle cookies with it. 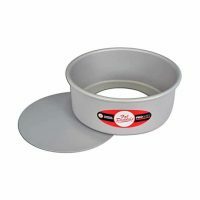 Press the crust recipe into the bottom of your cheesecake pans, if it gets too sticky, us a little flour or corn starch on your fingers. In a large bowl mix cream cheese and sugar, mix on medium speed. Add banana, mix then add the eggs 1 at a time, mix on medium till smooth.